Insurance for body parts for Actors, Models and Performers: What! Betty Grable was known as the "Girl with the Million-Dollar Legs" because that's what Fox Studios requested from Lloyd's of London for the Body-Parts insurance policy. Grable was once quoted to have said "There are two reasons why I am successful in show business and I am standing on both of them." Grable knew her legs were something to be admired . Most ordinary people wouldn't need this type of insurance, but those who have careers based on their appearance or performance might need body-part insurance coverage. There are rumors that Jennifer Lopez insures her rear-end for a billion-bucks, although she denies it. 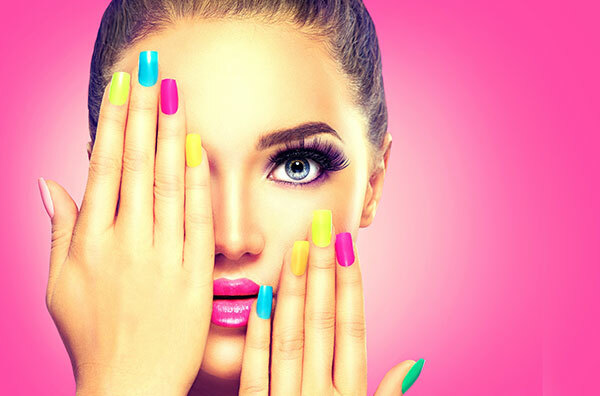 Anyone with a body part that valuable shouldn't go around advertising it. There are reports throughout the history of the entertainment business of celebrities insuring a variety of body-parts. The earliest reports of body-part insurance from come from the 1920's, when a policy insuring silent movie star Ben Turpin's signature crossed eyes from a risk of going straight was issued. It might seem odd anyone famous for crossed eyes could make it big in the first place but, the fact Turpin took out insurance protecting his asset is rather interesting. Insurance is a contract binding an insurer to indemnify someone against a specific loss in return for a premium. There needs to be a value for the asset being insured and most of us generally think insurance would cover losses suffered from some kind of disaster. Well, when you think about it, celebrities need body-part insurance if their asset is their rump what would they have if something happened back there? A disaster! Bruce Springsteen was once reported to insure his voice for six million dollars and the truth is that had something gone wrong with the Boss' voice it very well may have cost him the rest of his career and substantial future earning potential. When we consider what a movie star, singer or model has an asset it's not so strange to imagine they may want to insure their future in the event something goes wrong. It's just too bad there isn't "No-Talent" Insurance for some of the celebrities. You successfully pitched the project, secured the financing, cast a couple of great lead actors in the roles and now you need to get all of the other pieces in place for the show. Of course you need some production insurance, and on this show you want some Cast Insurance on your two leads. They’re both integral to the show and it would bad for you and your investors if an illness, injury, or worse, was to prevent one or both of them from appearing. It’s not a long run; scheduling will make it hard to extend it, so insurance is the way to go to cover the financial exposure of something going wrong with the actors. You connect with the broker and he tells you a medical will be required on each actor. You think, “ No problem - both are young and healthy”, but your contracts with them doesn’t say anything about insurance. One of their Agents pushes back, but in the end it’s agreed that the actor will see the doctor. The medical is received, but … (as the reader, I’m sure you knew there was going to be a ‘but’ coming) … when the insurance company reviews it, they make note of a history of a medical condition that concerns them. The underwriter researches it and speaks with her company’s consulting physician and learns that the condition is exacerbated by stress and can really flair up if the person becomes fatigued. This is a rigorous and physical show with 6 shows a week. You begin to be concerned. The insurers decide this is a risk they don’t want to insure. Now your concern elevates. The financial risk is high and, if the health condition becomes an issue, you will likely need to cancel the show as there won’t be time to re-cast and rehearse a new actor into the remaining scheduled performances. As a broker, I have seen this scenario play out many times. So how can it be avoided? What are the steps a Producer can take to protect themselves from facing a major insurance policy exclusion that leaves them with a big financial exposure? I recommend that Producers start thinking about Cast Insurance when they are budgeting their show. If you aren’t able to work the cost of understudies or swings into your budget, or if the success of the run could be affected by the loss of a lead-role actor, then you should be including Cast Insurance as a line item in your show budget. So what are some things you should think about? Put it in the contract. 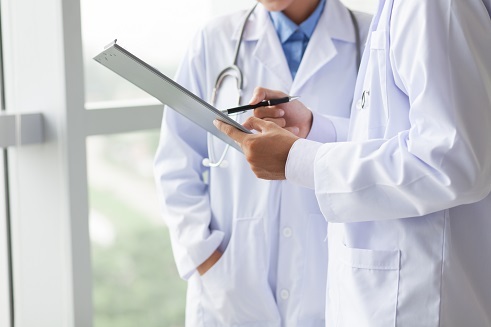 Your deal memos or engagement agreements should always address the insurability of the actor and should secure their consent to see an approved physician for a medical exam. Talk to your lawyer. A pre-signed medical would be ideal, but this could leave you with a discrimination exposure if you decide not to hire based on the findings. It may be appropriate under certain circumstances, but talk to your lawyer before going down this path. Sometimes the process of negotiating the medical and insurability clause will open a discussion about something that could present an insurance issue. Medical and health-related information obtained through a Cast medical is extremely valuable. As Producer you will be privy to information about conditions which could affect the actor and impact your show. Cast Medical Insurance can exclude pre-existing health conditions, drug, alcohol & substance abuse, psychological disorders and performance issues such as voice or movement-related issues. If your financial risk is too high because of a health-related exclusion then you need to be able to rely on your contract with the actor to provide you with a remedy. Without the protection of a contract, you may have to accept the exposure of a policy exclusion. Think about their family. The death of an immediate family member during the run will result in the actor needing to take time away from your show. How will you address this? Your insurance coverage can include Family Bereavement coverage to help deal with the costs of an unexpected cancellation, postponement or interruption. Build a schedule that works. When faced with an insurance exclusion, think about how you can schedule your shows to allow time for the person to care for themselves or time for health-care support. Be sure that the actor can maintain their usual health protocols while on your show: their personal wellness is a priority. Cast insurance can be a key component of managing the financial risks of a show. It can be used effectively to pay committed production expenses, reimburse pre-production costs and pay for sunk expenses such as media & marketing, and it can be used to pay additional costs associated with re-casting or re-scheduling shows. But, you need to have good information that enables you to develop a contingency plan for dealing with a problem if it occurs. As with most things, information and communication are key to structuring a plan for managing cast-related risks, so open the dialogue early, build the insurance costs into your budget, and go out and cast those amazing actors in your show. Harrison Ford and film production insurance. These terms go together like peanut butter and nuclear warfare. the decency to yell "FORE" before impact. How will his future film projects be affected? It has already been reported that insurance carriers associated with Ford’s future film projects may put it in writing that he is forbidden to fly recreationally so long as they carry the film production insurance on his movies. 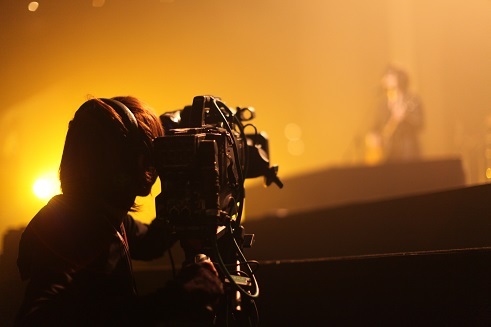 Cast Insurance Coverage reimburses the production company for any extra expense or cost necessary to complete the principle photography of a covered production due to the death, injury or sickness of any covered performer or director. However, most film insurance policies have exclusion under the Cast Coverage for any covered cast member taking part in flying other than as a passenger. It is very important for a production to obtain detail on their artist outside interests when signing them onto a project as these type of policy exclusions can become very expensive issues down the line. LLOYDS OF LONDON might be inclined to write a policy that would protect him even if he were to fly during production; however, the premiums would above and beyond the cost of the primary film insurance package. It looks like if Ford wants productions insurance he may have to stick to flying the Millennium Falcon on set. Don't fly, Harrison! Don't Fly! Most workplace injuries and diseases can be prevented by identifying and dealing with potential workplace hazards and unsafe work practices. Q. When do you need to conduct a risk assessment? A. For each potentially hazardous activity or situation involved in your production. Ie. Remember: Write your risk assessments on paper, that way they can be attached to call sheets and used as a reference in case they are needed at a later date. A specialized film insurance broker is best able to present the risks associated with your film production to the film insurance underwriter to ensure you receive the best coverage and premium for your production. Front Row Insurance Brokers are specialized Film Insurance Brokers. Please call us if you have any questions. An approved cast doctor will save a film producer time and money when obtaining film production insurance for a film production. 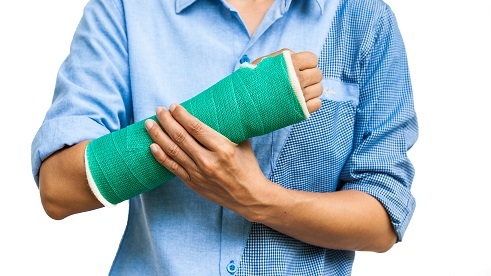 Cast insurance covers against extra expenditures incurred by the production caused by death, sickness, disability or kidnapping of insured cast members, director, DOP, or anyone else designated under cast coverage. Financiers and distributors will usually require cast insurance before they release funds. 1) An approved doctor is trained to dig for more information when an actor is being evasive regarding a previous medical condition such as substance abuse or a bad back. This information is material to the insurance company and the producer as it will determine if the actor will be subject to additional premiums to become insurable. 2) An approved doctor will not be bullied or awed by a celebrity actor: they obtain better information. 3) An approved doctor knows what information a film insurance underwriter needs and provides it. There is less back and forth questioning which saves everyone time. 4) An approved doctor always answers all the questions on the cast medical form which avoids delays. 5) Last but not least, an approved doctor was approved in the first place because they have legible handwriting! Feel free to contact me david@frontrowinsurance.com if you would like me to send you a free list of approved cast doctors in North America. Essential Elements Cast Insurance is extended and enhanced cast insurance. If the designated actor were to be incapacitated and could not continue working halfway through the film then you as a producer would have the option of abandoning the series or feature and receiving all the money you have spent to date back as an insurance claim. Standard cast coverage obligates you to recast and start over with another actor. Given that you can walk away from the film when you have insurance for essential elements cast, there is more risk for the insurance company and as a result there is an additional premium of $5,000 to $15,000 for each designated EE cast member. There are additional cast medical tests as well to arrange EE: uralysis, blood work with a drug screen, EKG and x-ray. Typically EE is required by a distributor that does not want the project without a particular actor or director involved: think the “Rocky” franchise. A distributor would probably not want “Rocky IV” if Sylvester Stallone was not able to complete. The distributor would not want the film with another actor. Has a distributor or financier made their participation contingent on your actor being involved being involved? If so, I can assist in my role as a specialized film insurance broker at Front Row Insurance Brokers.